There’s a lot to like about the YI 4K Action Camera, but unfortunately, there’s also a few little niggles that stop it from being the perfect budget option. While it is cheaper than the GoPro Hero 4, you will need to buy additional items, such as waterproof housing, and mounts, to enable to use it as a true action camera - all of which bumps the price up. Although overall the YI 4K Action Camera seems to be well built, the battery door is far too flimsy, and it popped open on several occasions. If you’re shooting somewhere that could introduce sand or dirt into the camera, that could be very bad news. 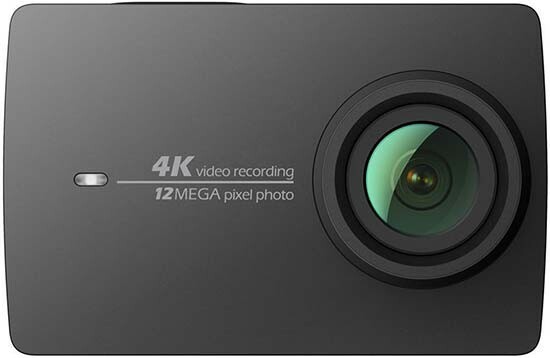 The YI 4K Action Camera’s touchscreen is very easy to use, but there’s arguably an over-reliance on its use, with only one actual button. Furthermore, it’s very easy to accidentally swipe the screen while you’re holding it in your hand and change the shooting mode. Image quality is very good, although not quite on a par with the more expensive Hero 4 camera, and it’s unlikely to be a match for the even newer Hero 5. If you’re looking for something which offers good value and is easy to start using straight out of the box to take on your next holiday, the YI 4K Action Camera is a good option. The impressive battery life means you can sling it in your bag and not worry too much about it running out of power while out and about. You can also charge it with a portable battery charger via the USB port should you find that you are running low. While the term GoPro has become synonymous with action cameras, it’s important to remember that there are plenty of other options on the market. While the YI 4K Action Camera isn’t likely to steal the thunder too much from the GoPro it makes a very good crack at it, producing excellent videos, with plenty of options to satisfy the casual action camera user - it’s a shame that there are no mounts included in the box though.